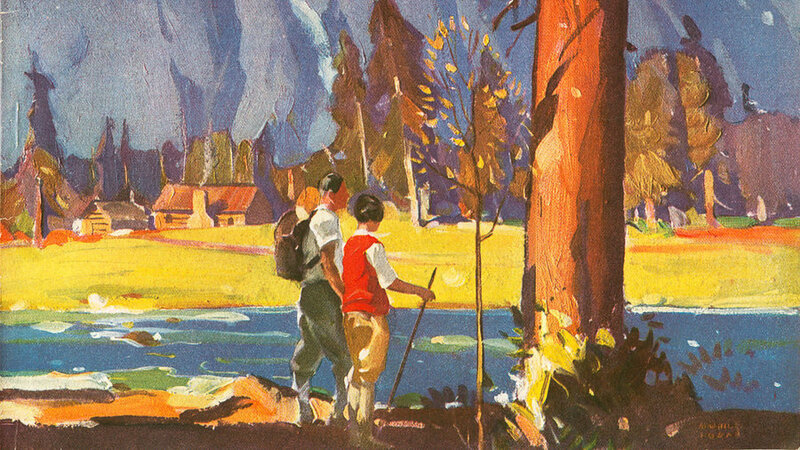 California artist W. H. Bull, who designed many early Sunset covers, captured the majesty of the big trees for our first cover set in the California redwoods. “No man can stand before these prehistoric giants without a new sense of the age of the world and the insignificant span of human life,” said a story. A roadster filled with smartly dressed adventurers drives down the narrow dirt stretch from Washington’s snow-capped Mt. Rainier, known in Native American legends as Tacoma, “the mountain that was God.” Rainier was the first national park open to autos, in 1908, and with an improving network of roads, the West’s wild places invited exploration. Car DVD players and smartphone games like Angry Birds were decades away. 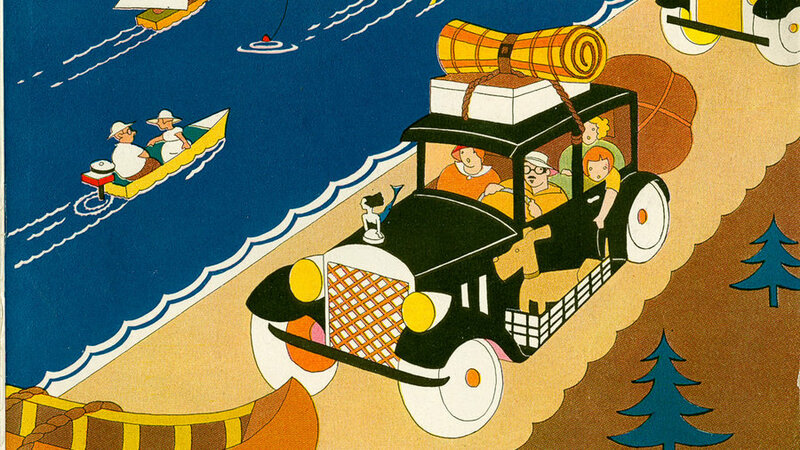 An editorial in this issue praised the automobile trip as a time when we’re “forcibly detached from the artificial aids to entertainment....on which we are inclined to lean so heavily at home.” Perhaps artist Heath Anderson had good conversation and scenery in mind for her whimsical illustration of a family on the road. “What were they thinking?” said Sunset’s current art director when he saw this cover, shot on the approach to Mt. Whitney. Harsh lighting, uninspired text (“noisy, clanking, mechanized world”? 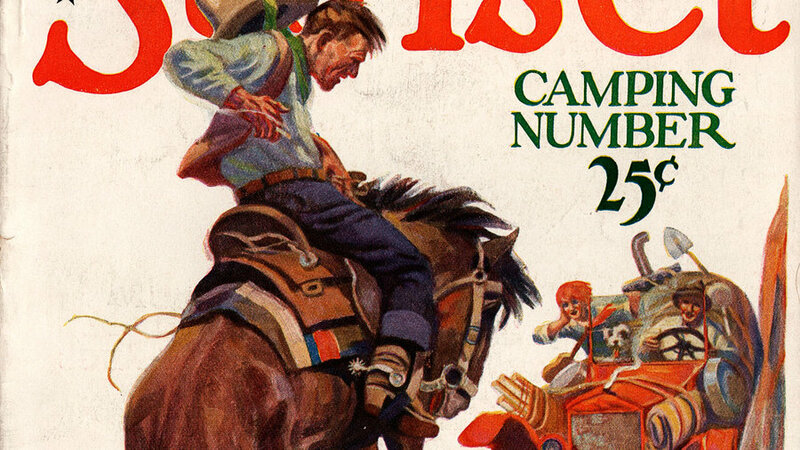 ), and those dutiful pack animals hardly make us jump to turn the page. All we can say is the post-war audience must have been eager for some fun. With the slopes of Mt. Lassen as a backdrop, Sunset’s managing editor Ken Cooperrider and two other staffers pose for a cozy scene at Manzanita Lake campground. The cover story included directions for cooking bacon and just-caught trout on a stick, and baking mincemeat-port wine pie in a dutch oven. America’s oldest national park was suffering. The network of highways made it feel more throughway than sanctuary. The park's once-thundering herds of bison had been reduced to 500. Our 16-page guide took visitors beyond the “elbow-to-elbow fishermen and hopelessly tangled trout lines” to back-country corners where one could be still and discover the magic of rare trumpeter swans, otters, and antelope. There’s no better time to explore the low desert than early spring, said our cover story. 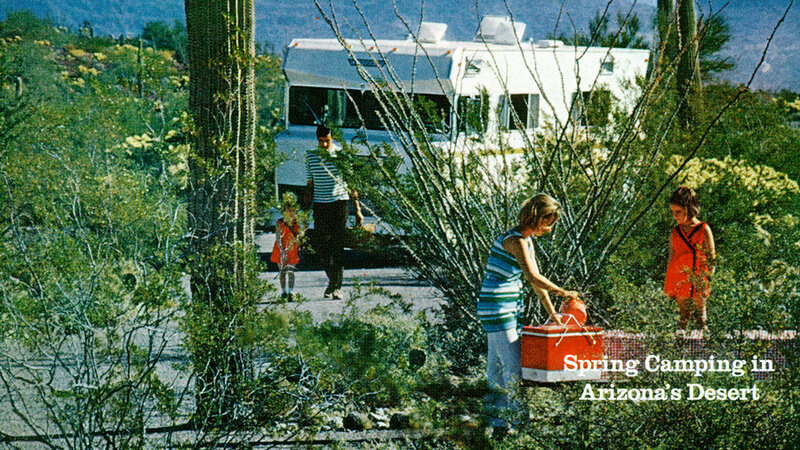 Warming weather unfurls the blossoms of the desert primrose, lures the desert tortoise out of hibernation, and invites caravans of weekend nomads to hit the road. As for the nomads’ comfort, there may be no better way to enjoy remote, undeveloped camping spots than the self-sufficient RV. Uncrowded Mt. 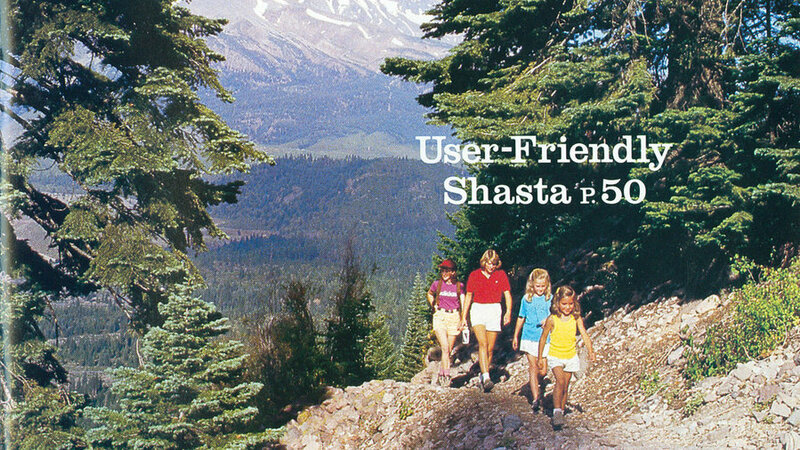 Shasta in northern California offers much to the last-minute visitor, we noted, from hiking trails to house-boating, trout streams to historic towns, even opportunities for square-dancing. Yes, square-dancing. 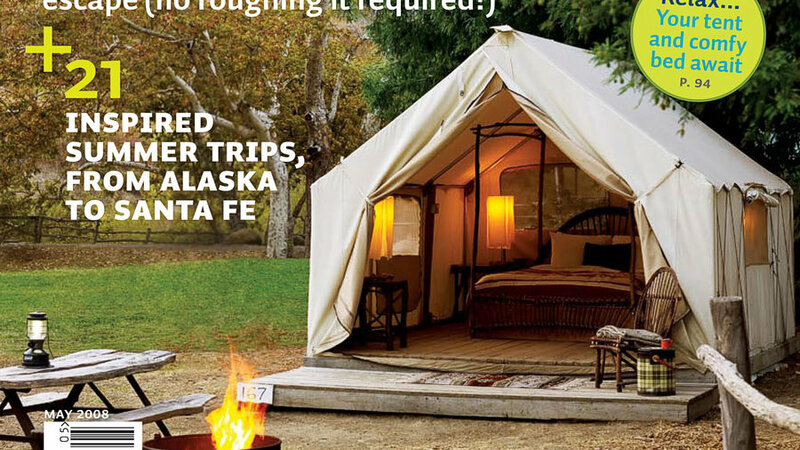 “Problem: Love the outdoors, hate camping. Solution: Swap your sleeping bag for a feather bed,” our cover story stated. 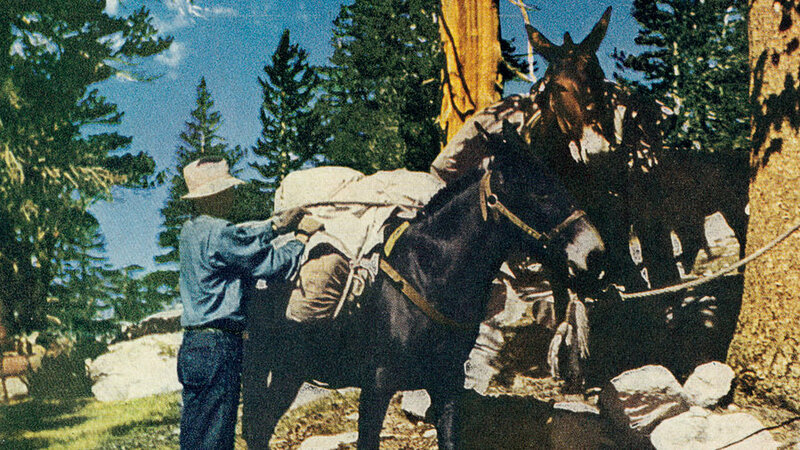 Glamorous camping, or “glamping,” was a newly coined term, and our readers took to the concept like blue jays to pancake crumbs. Our now-annual guide went glam with great gear, gourmet recipes, and the West’s top destinations. 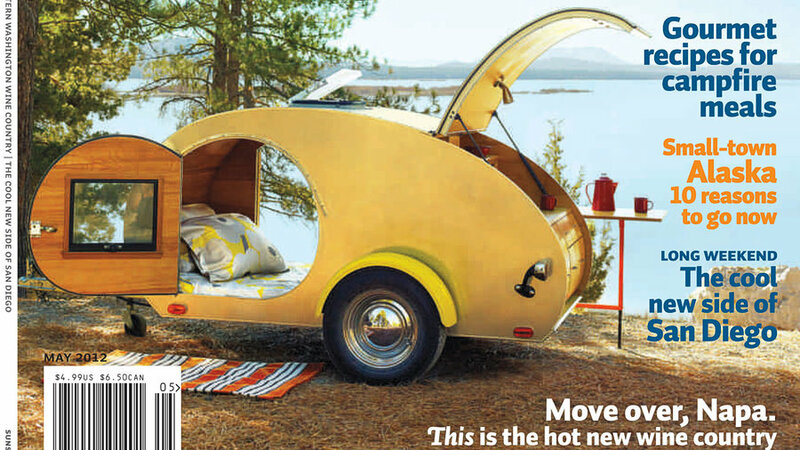 Why rough it, we asked, when you can sleep in a super-cute Teardrop trailer, turn your tent into a retreat with a cushy inflatable air mattress, or cook four-star meals like Mascarpone French Toast with Warm Blackberry Syrup. 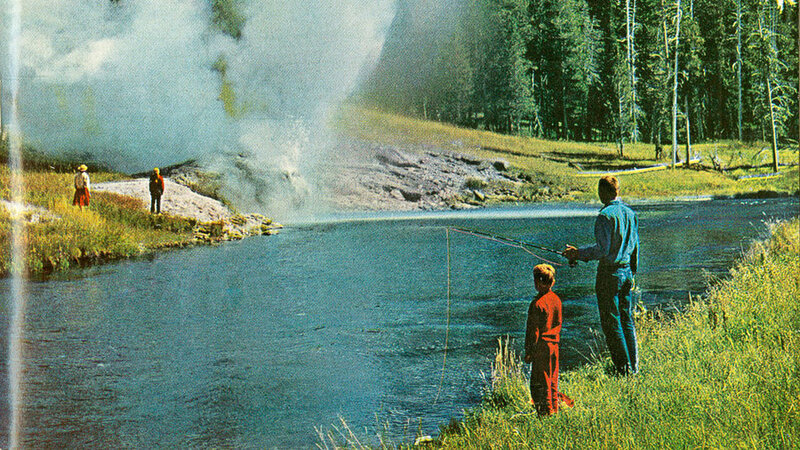 Becoming a parent doesn’t have to end your camping career, we promised in one story. 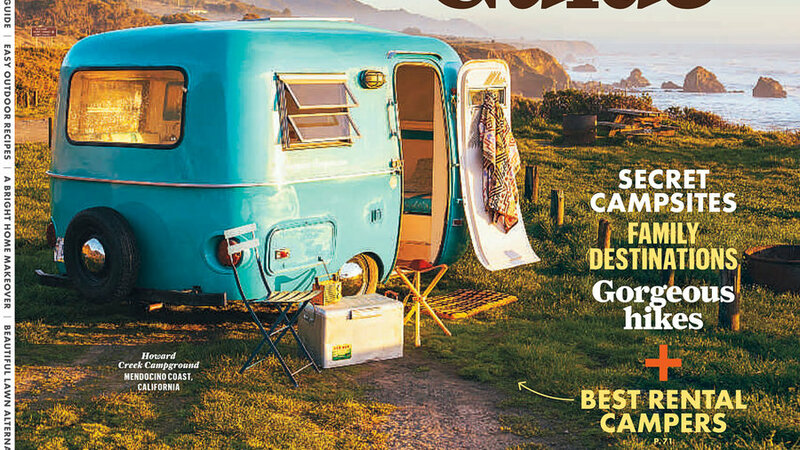 To help, we shared real-life tips from a staffer and his family, a guide to the 10 best family campgrounds (including this one on the Mendocino Coast), and a recipe for Cowboy Hot Dogs that could be served plain or fully loaded.